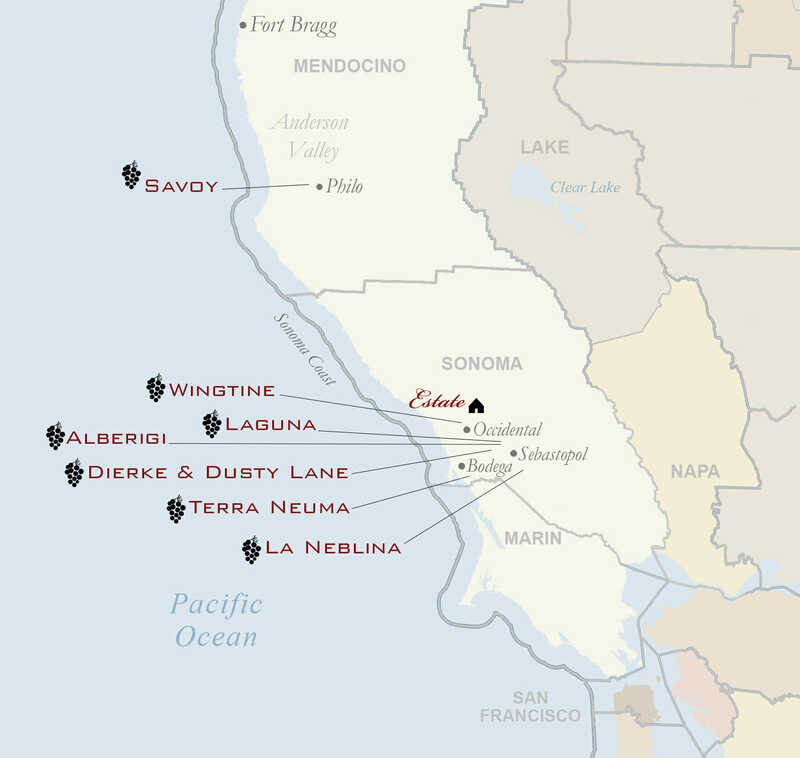 Dierke’s organically certified hillside vineyard is nestled just off Bodega Highway within a diverse habitat of fruit trees, vegetable gardens, and beneficial plants. 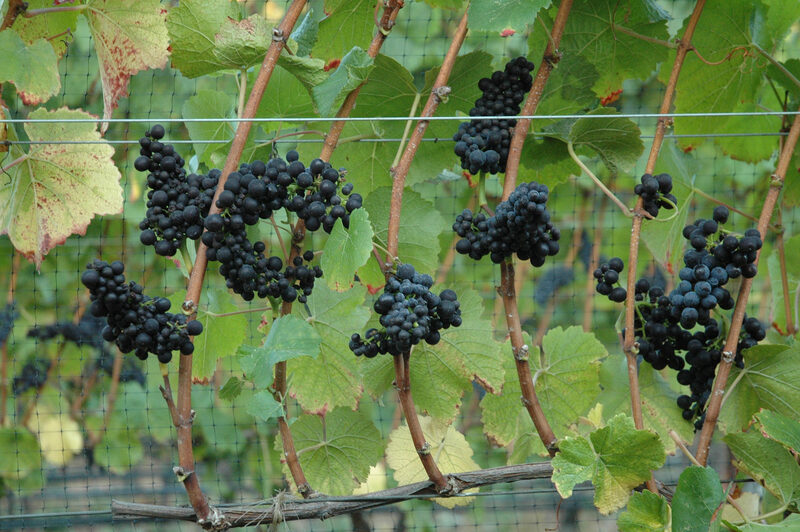 Notoriously exuberant and powerful, like the grower himself, the Dierke vineyard teems with life every season. Comprised of the Mt Eden and 828 clones, the 2016 vintage marks a decade of vine age for this distinct Sonoma Coast site just west of Sebastopol. We chose to barrel age the bold 2016 Dierke Sonoma Coast Pinot Noir for 16 months, followed by an additional restful year of bottle age prior to release. The 2016 Dierke Sonoma Cost Pinot Noir is a complex mix of red and black fruit, coupled with prevalent savory undertones. Aromas of juicy black cherry, bright Santa Rosa plum, and ripe boysenberry marry harmoniously with whispers of black olive, star anise, and freshly steeped black tea. Intriguing notes of violets and terracotta weave throughout. Depth and intensity are balanced by zesty acidity, and a shy layer of vanilla adds a delicate smoothness that lingers on the palate.